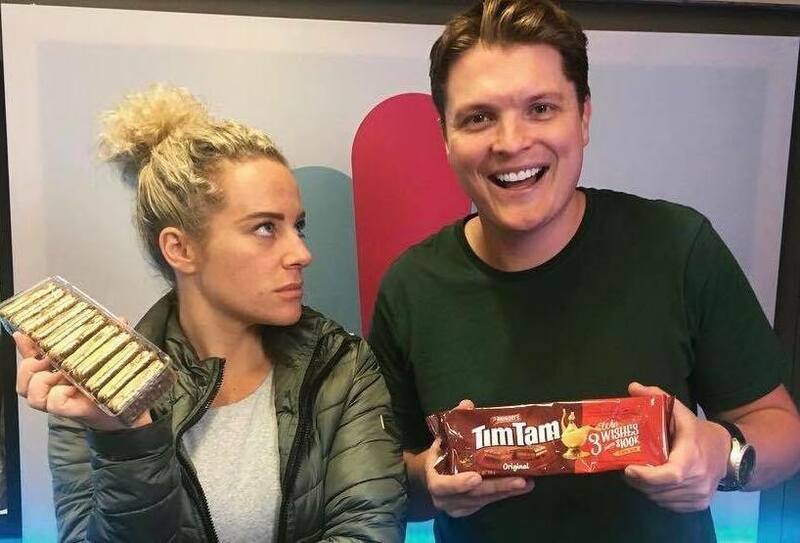 Ash Pollard wins $100K in Tim Tam promotion, or does she? 101.3 Sea FM‘s Ash Pollard was convinced that she’d won Tim Tam’s 3 Wishes $100,000 giveaway this morning. Tim Tams recently announced that one of the packs of Golden Tim Tams was definitely in circulation on the Central Coast, so Gawndy and the Sea FM team took the opportunity to stitch Ash up big time. They spray-painted a row of Tim Tams, put them back inside the back and resealed it. After going through a couple of failed packs, Ash’s reaction when Gawndy opens the winning pack is priceless, as clearly she genuinely thinks she’s won.